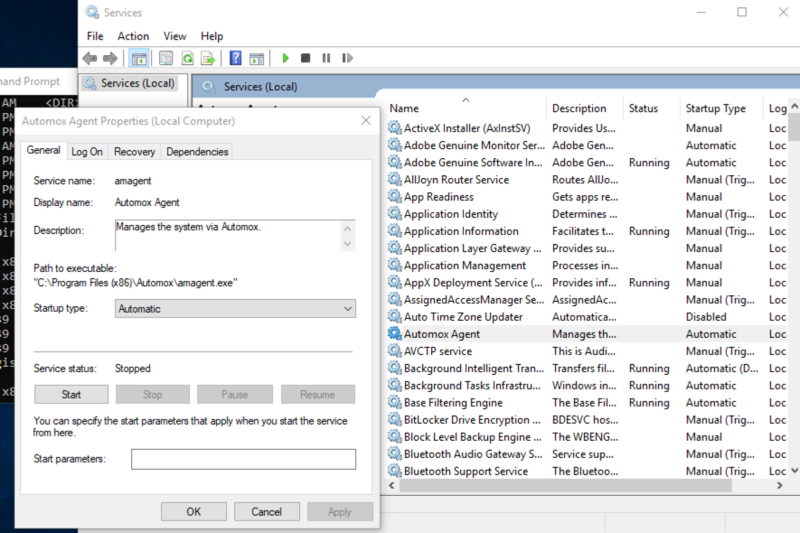 Depending on your operating system, there are different steps to remove the Automox Agent from your device. You can remove the agent by going to the Devices page. Using the console to remove the agent is the recommended method. For details, see Managing Devices. sudo rm -rf "/Library/Application Support/Automox/"
Go to Local Services and stop the agent. 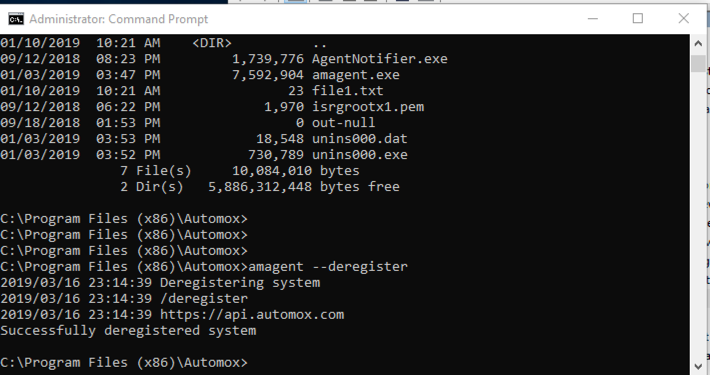 Open a command prompt in Administrator mode and deregister the Automox agent. To reinstall the Automox agent, ensure that the agent has first been deregistered and then removed. Deregister the agent. See Deregistering the Agent. Remove the agent, as described here. Follow the instructions in Installing the Automox Agent for your device.